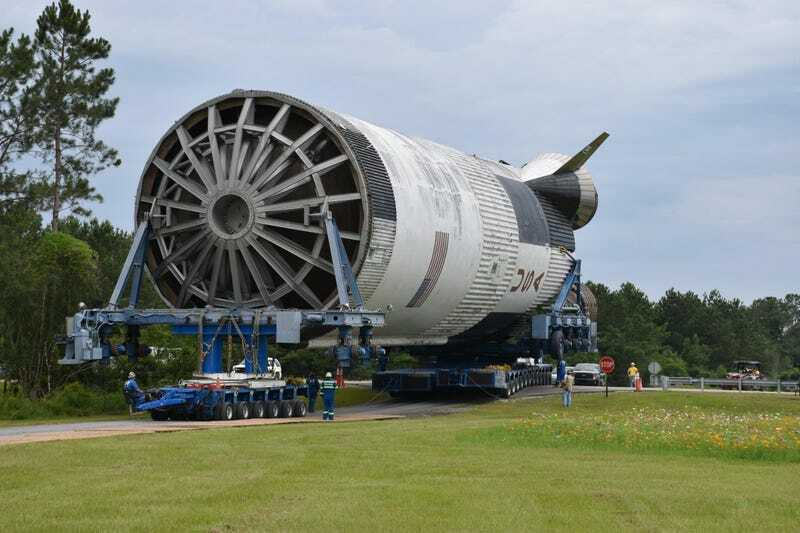 The Saturn V was moved along a canal from its home at NASA’s Michoud Assembly Facility in New Orleans and 40 miles down the Pearl River to NASA’s Stennis Space Center in Mississippi. It’s currently near the entrance of the centre until it’s driven the last 10 miles to the INFINITY Space Center Monday night. Five F-1 rocket engines will be affixed to the booster, which in its prime could produce 7.5 million pounds of thrust. The Saturn V will be a part of a new exhibit that aims to educate visitors about the Apollo program and Mississippi’s role in space exploration. 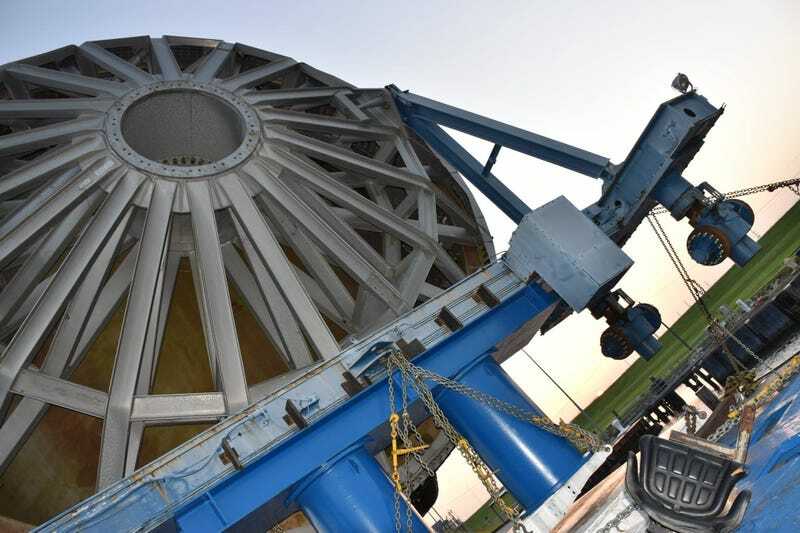 “There’s a saying that if you wanted to get to the moon, you had to go through south Mississippi first,” said John Wilson, executive director for INFINITY Science Center in a press release. The Saturn Vs were utilised for the Apollo missions to land men on the moon between 1966 and 1973. At the time, it was considered the world’s most powerful rocket. This particular booster was originally slated for the Apollo 19 mission in 1973 before the mission was cancelled. According to the INFINITY Science Center, it’s the “last unpreserved Saturn first stage known to exist” and the “last remaining piece of Apollo space flight hardware. 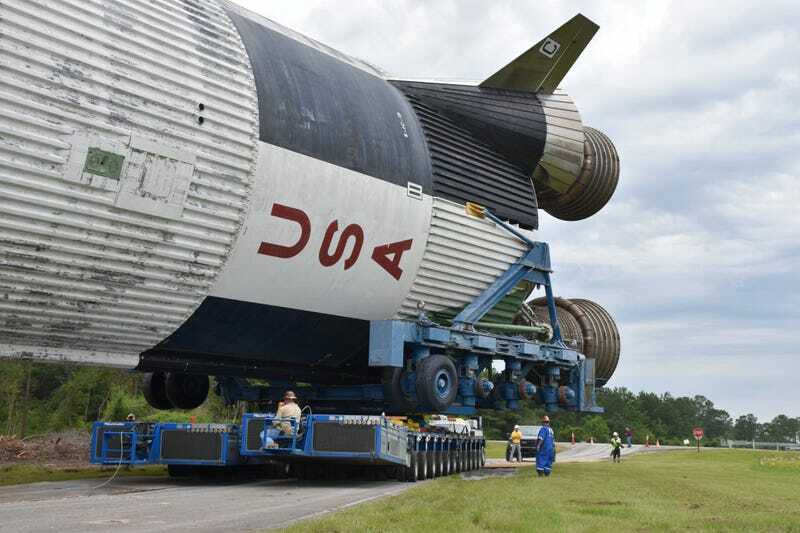 It was kept in storage at the Michoud Assembly Facility for more than 45 years. Fred Haise, who was a pilot on the failed Apollo 13 mission, is on the board of directors at the centre and was slated to be a part of the Apollo 19 mission before its cancellation. I can only imagine what he must be feeling knowing it’s on its way.